'Sum Assured on Death' along with vested simple reversionay bonuses and final additional bonus, if any. Surrender Value – Available after payment of 3 full years premiums. Revival – A policy may be revived within a period of 2 years from the date of first unpaid premium taxes, if any shall be applicable at the prevailing rates and borne by the policyholder as per rules. 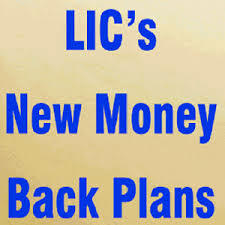 5 Comments on "LIC New Money Back Plan"
When(date) I’ll get money back first time under LIC policy no. 448561410(Jeevan suravi)? LIC Jeevan Surabhi Plan 20 years is a 20 years Money Back Plan. Survival Benefit is receive 25% of the Sum Assured at the end of 4, 8, 12 and 15 years and life cover continues till the policy matures.